Intel showed off its latest lineup of Classmate PCs at CES 2012, with the new batch featuring the company’s Cedar Trail processors, and extended battery life of up to 10 hours. The latest crop of Intel laptops for the classroom will come in two variants, the standard 10.1-inch clamshell design, and a 10.1-inch convertible tablet. The tablet version of the Intel Classmate PC will feature multi-touch capabilities, and provide a hassle-free writing experience, with Intel’s Palm Rejection technology. The devices have also been optimized for painting, drawing, and e-reader applications. As with previous generations of the Classmate PCs, the new batch will sport a rugged exterior capable of withstanding common shocks and hazards, and feature improved resistance to water for the keyboard and touchpad, as well as an anti-microbial and anti-peel keyboard. Both models also come with retractable handles for easy carrying. Both will run on the dual-core Intel Atom N2600 Cedar Trail processor, on the Intel NM10 Express chipset. Other features include a choice of 1 or 2GB of RAM, Wi-Fi 802.11 a/b/g/n, 10M or 100M Ethernet, optional 3G or WiMAX, choice of 0.3MP to 2MP webcam, HDMI video out, a USB 2.0 port, an SD card slot, a VGA port, and a pair of audio jacks. The new Intel Classmate PCs will weigh between 1.45-1.65 kgs depending on the configuration. They will also come bundled with Intel’s latest Learning Series Software Suite, which the has updated collaborative classroom features, and improved administrative control., including secure theft management. 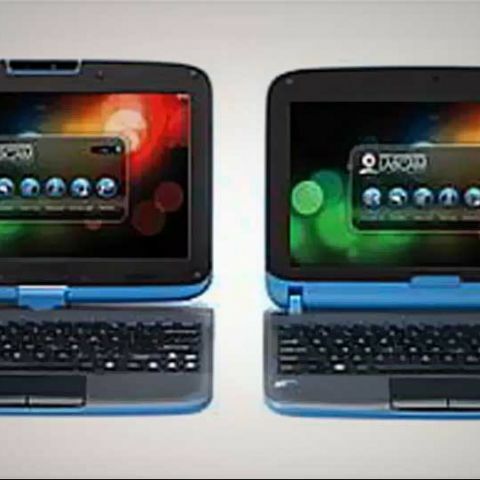 The devices will come with optional Windows 7 32-bit or 64-bit, or Linux, pre-installed. Refer to Intel's Classmate PC page for more information. "To succeed in today's global economy, students need to develop 21st century skills like problem solving, critical thinking, and collaboration. Technology solutions that are purpose-built for education play a key role in supporting the development of these skills, and we look forward to further enriching the education experience with our new platforms."